The novel is the most important form of Western art. It aims to represent the totality of life; it is the flagship that literature sends out against the systematic thought of science and philosophy. 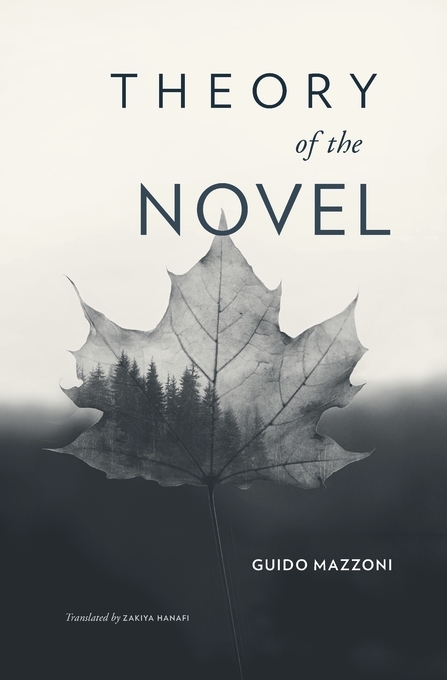 Indebted to Lukács and Bakhtin, to Auerbach and Ian Watt, Guido Mazzoni’s Theory of the Novel breaks new ground, building a historical understanding of how the novel became the modern book of life: one of the best representations of our experience of the world. The genre arose during a long metamorphosis of narrative forms that took place between 1550 and 1800. By the nineteenth century it had come to encompass a corpus of texts distinguished by their freedom from traditional formal boundaries and by the particularity of their narratives. Mazzoni explains that modern novels consist of stories told in any way whatsoever, by narrators who exist—like us—as contingent beings within time and space. They therefore present an interpretation, not a copy, of the world. Novels grant new importance to the stories of ordinary men and women and allow readers to step into other lives and other versions of truth. As Theory of the Novelmakes clear, this art form narrates an epoch and a society in which individual experiences do not converge but proliferate, in which the common world has fragmented into a plurality of small, local worlds, each absolute in its particularity. Guido Mazzoni is Associate Professor in the Department of Philology and Literary Criticism at the Università di Siena, Italy.